At Janney, we understand that the success of our business depends largely on the quality of our people. 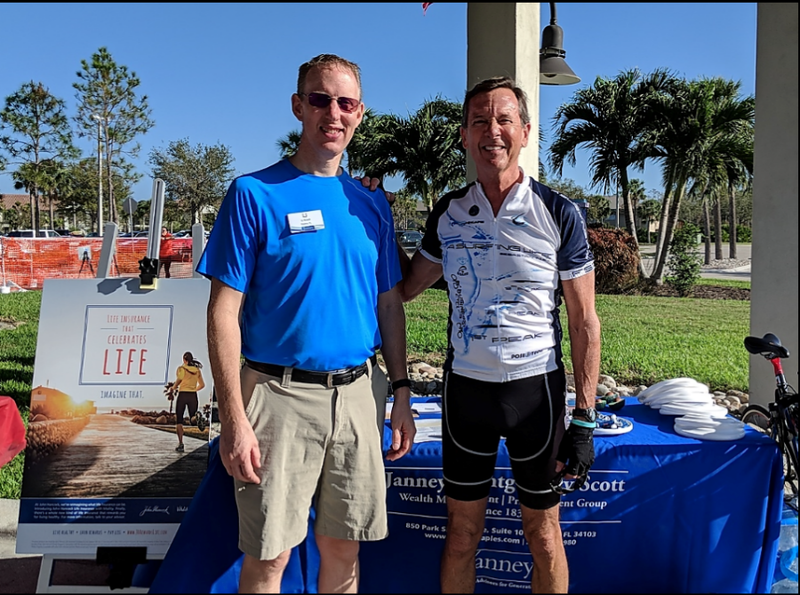 The firm’s Naples, Florida branch office represents one example of how Janney employees throughout our footprint are making a meaningful difference in the lives of clients and in the communities in which we live and work. When describing the office’s approach to community engagement and branding, Steve Spahr, Senior Vice President, Branch Manager of the Naples Office, and Assistant Regional Manager of Janney's Florida Region, says that a number of factors are taken into consideration. Naples is a seasonal town and a small community. It’s also one of the wealthiest cities in the United States and very philanthropic. A great example is the office’s sponsorship of local marathon races. 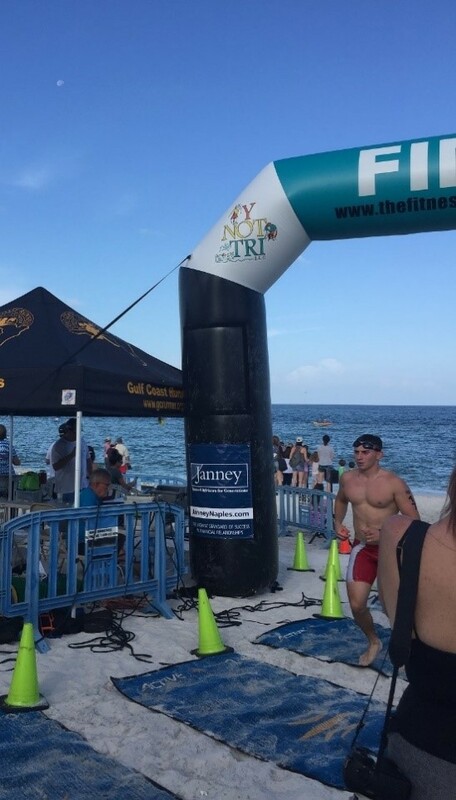 In June, Janney was the only financial services firm to sponsor the 32nd annual Naples Fitness Challenge Triathlon. The event, in which Steve participates in and leads the Janney team, has been sponsored by Janney for the last four years and supports Grace Place for Children & Families in Collier County, a nonprofit that aims to provide pathways out of poverty by educating children and families in the nearby community of Golden Gate City. The Janney team has placed first among the relay teams three times in the last four years. The triathlon is the second race the Naples office sponsored this year. Earlier in 2018, Janney was also a lead sponsor of the annual Naples Daily News Half Marathon, an Olympic qualifying race with approximately 1,800 runners. 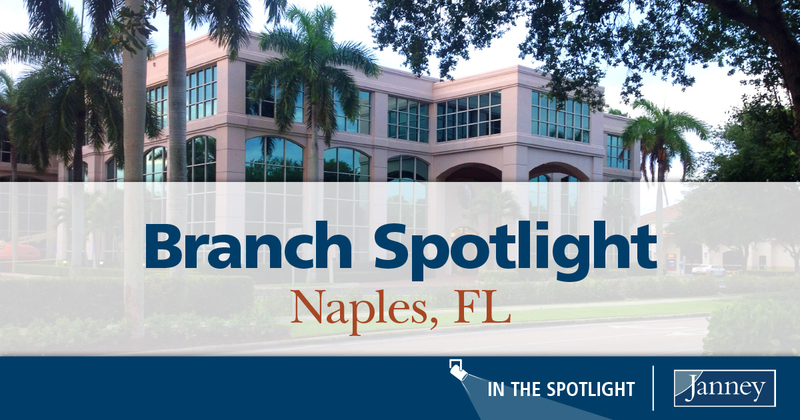 While the Naples office is a very locally-focused branch, the causes it supports through volunteering, fundraising and board affiliations are broad and diverse. In addition to his participation in a number of local races, Steve has been on the Board of Directors for the Winged Foot Scholarship Foundation for over 25 years and has supported environmental causes by giving back to organizations like the Everglades Foundation. LJ Knoll, Financial Advisor in Naples, is a member of Naples Green Scene and volunteers with the Regional Building Committee and the Southern Florida Disaster Relief team. Tom Gayer, First Vice President/Investments, is a former board member of Opera Naples, a member of the Sarasota Fines Arts Association, and is involved with the Naples North Rotary Club. Amy Manley, a Registered Private Client Associate and CFP®, is also active in a number of local community organizations, including many that are focused on the advancement of women and girls. For several years, she has volunteered for the PACE Center for Girls, Collier, which provides education, counseling, training and advocacy for girls and young women. Amy helped organize the Naples office’s sponsorship of the PACE Center’s 5K Run/Walk for the Future and it’s role as a dress collection site for the organization’s annual “Love that Dress” fundraiser, in which clients and the public stop by the office to donate their gently worn dresses. Amy is also a member of the American Business Women’s Association (ABWA) Neapolitan Chapter. Each fall, she invites clients and friends of the firm to attend ABWA’s annual Women’s Business Showcase, which highlights local women-owned or managed businesses and nonprofits that provide support to women and children in the area.